« BG Roxy Concert Footage on G4! 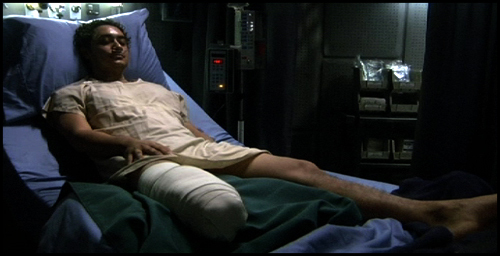 BEWARE THE SINGING SPOILERS: Throughout Guess What’s Coming To Dinner, Gaeta sings to distract himself from the pain after his leg is amputated. 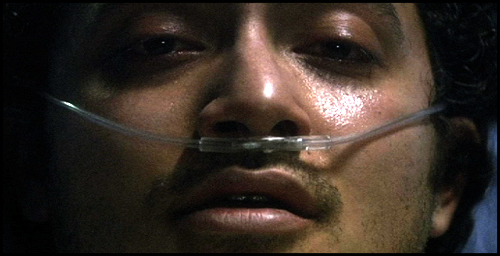 The song, Gaeta’s Lament, serves as a narrative thread connecting the entire episode, not only communicating his character’s misery, but weaving together the multiple story arcs. 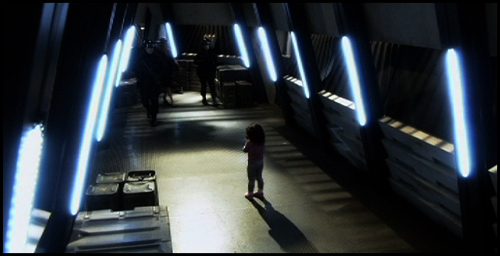 This episode is a special one for me, because it represents the first time I’d been brought onboard at the script level. The scoring process is generally the last step in the journey of completing an episode. 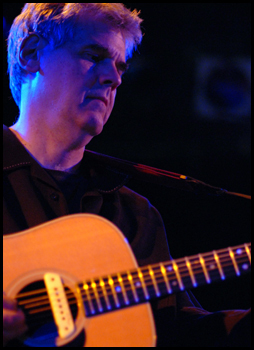 I’m accustomed to writing music for a finished story. Here, I had the unique opportunity to help shape the musical identity before production even began. Writer Michael Angeli, director Wayne Rose and actor Alessandro Juliani and I all worked closely together to bring this song to the screen. I first got the phone call about the song late last summer, after I had completed Razor. I hadn’t yet begun any scoring for Season 4, so I consider Gaeta’s Lament to be my first piece of music written for the final season. Michael sent me his lyrics and I set out shaping them into a song. The lyrics were poignant and melancholy, but with an odd sense of hope, setting an ambiguous emotional tone that suits our show’s music very well. To create the melody for the Lament, I started with a melody conceived for Gaeta in Season 1, an idea that ultimately never developed fully. However, in this context, it fit perfectly. I shaped Angeli’s lyrics into a simple Verse / Pre-Chorus / Chorus structure. The line “To have her, please, just one day wake” really struck me. So, I set it as the Chorus, making it the most powerful and emotional moment in the song. I recorded a demo version (with myself singing!) and sent it to AJ. He, in turn, recorded his own demo version and, in his words, “took it all and made it my own.” His first demo was absolutely beautiful. His voice alone carried the emotion of the entire song. All the strings and drums I would eventually add would clearly be icing on the cake. Many of my melodies on Galactica are extremely reliant on their underlying harmonies to have meaning (Baltar’s theme is a extreme example: without the interesting chordal progression, the melody itself is quite inane). To have the Lament melody work so well completely on its own felt like a personal victory for me. And each phrase of the song appears in the show at least once. 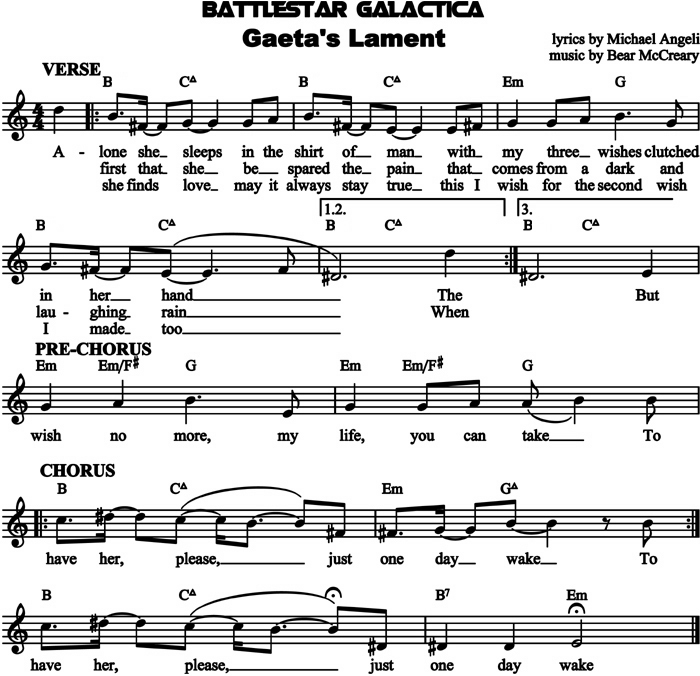 Technically, Gaeta’s Lament was introduced in Faith (see last week’s entry), but it’s first appearance in Guess What’s Coming to Dinner is in instrumental form in the first act, as preparations are being made to jump the rebel baseship and Demetrius back to Galactica. Unlike the ambient quotations in Faith, this arrangement of the theme is undeniably song-like, and draws more attention to itself. My goal was to have the tune subconsciously in the audience’s ears before Gaeta even begins to sing it. A solo bansuri states the Lament again as Gaeta goes under the bonesaw. The beauty of the melody plays in ironic contrast to the brutal severity of the scene. He winces in pain while repeating the line, and a solo bansuri picks up the melody, finishing the phrase for him. Then, Gaeta starts back at the beginning, suggesting that he’s been repeating this song endlessly. 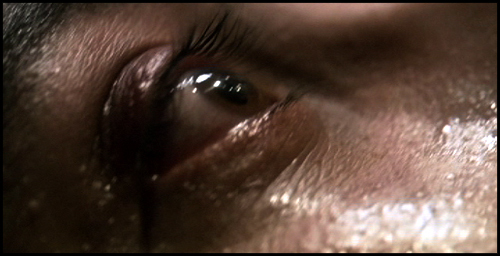 The two climactic story lines of this episode are intercut as a montage in the final act. I used the score as a thread to tie all the events together. My inspiration was the ending of Precipice, where this trick worked out very well. And I accomplished this with an instrumental arrangement of Gaeta’s Lament. Even though he’s not onscreen during the montage (until the chilling conclusion), his song perfectly summarized the pain, panic and confusion of the sequence. 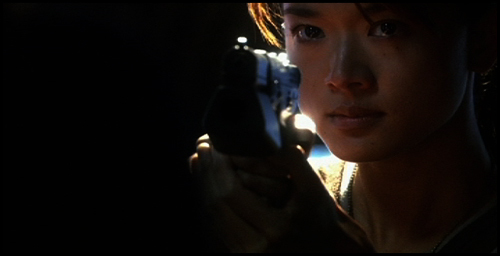 As the montage builds intensity, the arrangement follows. Duduk, erhu, bansuri, zhong hu and electric violin all take turns with the Verse melody. Frame drums, taikos and percussion complement a growing arsenal of strumming ethnic guitars, played, as always, by the brilliant Steve Bartek. 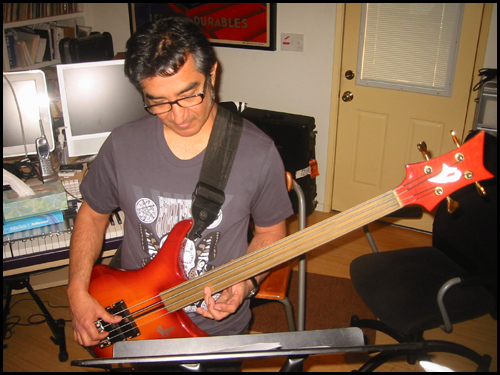 John Avila returns to the score for the first time since All Along the Watchtower and lays down a powerful electric bass line, which gives this track the feel of a song as opposed to simply score. On the cut to Hera rounding the corner into the hallway, the entire arrangement thins out, leaving a solo bansuri playing a sweet and simple version of the Chorus melody against a sparse guitar backdrop. Typically in song form, the Chorus is the biggest and most exciting part. However, the orchestration of the Verse melody in this cue was getting intense, so the sudden breakdown of the Chorus at this moment feels more dramatic and jarring. Athena finds them in the hallway and draws her gun. To amp up the tension, the guitars kick in more aggressively, as the music shifts keys from Dminor down to Bminor. We hear the Verse melody again as Laura is brought into the hybrid chamber. And when we cut back to the standoff in the hallway, another simple statement of the Chorus returns, but this time not quite as innocent and elegant, raising the tension. At this moment, there’s an interesting chord change I never originally envisioned. The harmonic progression of Gaeta’s Lament is as follows: B, Cmaj7, Em to G. I always heard the song as being in Bmajor, with the C and G in the scale lending the melody the Middle Eastern quality that so suits our show. However, the progression is laid out in such a way that it could easily be interpreted as B (acting as the V) resolving to Em, which then feels like the tonic. And, when AJ first rehearsed the tune, he asked if he could “resolve” the harmony for the last time he sings it. On “… just one day wake,” he jumped down to D# and finished the phrase on E.
I realized that he didn’t hear the tune in B at all, but heard it in Em! This was a jarring shift of perspective for me. Imagine painting a picture of a fish, and then someone turns it upside down and tells you it’s a boat. That’s a bit of what I felt like. But, I liked AJ’s idea, and was especially excited that a member of the cast brought such a fresh perspective to my music. As a result, the episode concludes not on the tonic B as I always envisioned, but on a huge V to I cadence: B resolving to Em. This moment is jarring, especially because the rest of the vocal performances in the episode were underscored with harmonies based around a B tonic. After 45 minutes of B, we resolve suddenly to Em. And this moment is even more special, because I’ve literally never ended a piece with a V to I cadence in the history of Battlestar Galactica. That progression is the most commonly used in all traditional classical or popular music, so I avoid it like the plague on this show. But, AJ’s instinct was the right musical choice. The intense close-up of his pain-stricken face combined with the unexpected harmonic resolution at the end of the episode never fails to give me chills. Guess What’s Coming to Dinner was a wonderful experience for me, but it would not be the last time the writers asked me for music at the script stage. In fact, I’ve been working with writers Bradley Thompson and David Weddle for two months on their final script for the series (the fourth to last episode of them all). This episode will integrate music directly into the story in incredibly daring ways. And the timing of tonight’s episode is ironic. Guess What’s Coming to Dinner, the first episode to feature music recorded on the set, happens to premiere at the same time as I’m actually on the set myself, supervising new on-set Galactica music. 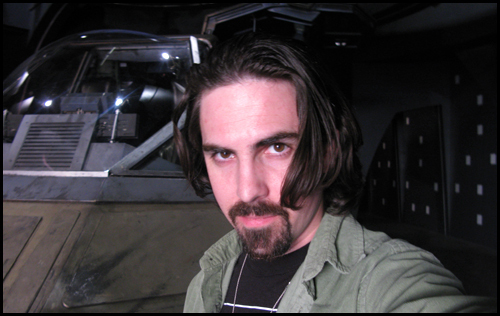 I’m literally sitting on the hangar deck set in Vancouver right now, as I write this blog from my laptop! I’m here for two weeks helping out with Weddle and Thompson’s new, unusually musical episode. I am observing on-set instrumental performances and even composing original music each night, churning out sheet music pages for the next day’s shoot. And they are allowing the show’s score to evolve in an unprecedented manner. Frak, this upcoming episode may perhaps redefine the role that music can play in narrative. But, I’m getting ahead of myself. You guys won’t see that one for a long time. I’ll tell you all about it when the time is right.